Childhood can mean so many things. My childhood before I got into young adult novels, my childhood when I got into young adult novels. And the choices are endless. But I had two ultimately loved books from when I was a little kid. The first, read for some reason, only in doctor’s offices, or at least the only time I remember having it read would be Green Eggs and Ham. I can’t say why I loved this book so much, except that it was one of the first books I learned how to read aloud. The other book is one that I have continuously given out to friends and family members having children, and that is The Hungry Caterpillar. I even appreciate it from an artistic standpoint as an adult. 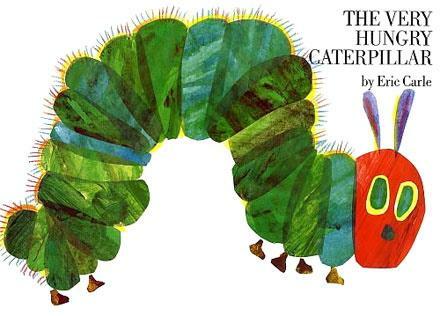 I loved the Very Hungry Catepillar when I was a kid.